Početna » Backclash over doctors’ plan to keep brain..
Backclash over doctors’ plan to keep brain..
Proposals to keep brain-dead patients alive for organ donation have sparked a backlash among doctors and health campaigners. The British Medical Association yesterday suggested the practice – known as elective ventilation – be used to tackle organ shortages that cost 1,000 lives a year. It is also calling for consent to be presumed unless otherwise stated. But Professor Nadey Hakim, surgical director at the West London Transplant Unit, said: ‘It’s not ethical keeping someone alive. ‘They’re brain dead and you have to remember there’s a family next door in tears. I find it bizarre that the BMA wants to push for something so unpopular. Katherine Murphy of The Patients Association said it was acutely aware of the shortage of organs but still had deep concerns about the proposals. ‘The failures of the current ways of working are no reason to do away with a patient’s fundamental right to decide what happens to their own body,’ she added. The BMA backed a system due to be introduced in Wales in which a patient is presumed to give consent for their organs to be used unless they have expressly said otherwise. The BMA says ‘safeguards’ will prevent people being disadvantaged by an opt-out scheme, for example if the family objects. It calls for other options to be explored such as restarting the hearts of people who have recently died so they can be used in transplants. This would see brain-dead patients kept alive on ventilators. Other ideas include using organs from higher-risk patients such as the elderly, and guidelines for using the hearts of babies aged under three months who have no chance of surviving. These changes could boost donor rates compared with the current ‘opt-in’ system, where people are asked to join the organ donor register. Dr Tony Calland, chairman of the BMA’s medical ethics committee, said: ‘The aim here is to save lives while at the same time protecting individual rights and autonomy. It argued that, in principle, there was no difference between transplanting hearts from donors whose death had been diagnosed by brain stem testing and those whose death is diagnosed by their heart stopping. But the report acknowledged that some intensive care doctors felt such practices were ‘at the very edge of acceptability’ and could jeopardise professional and public confidence in organ donation. 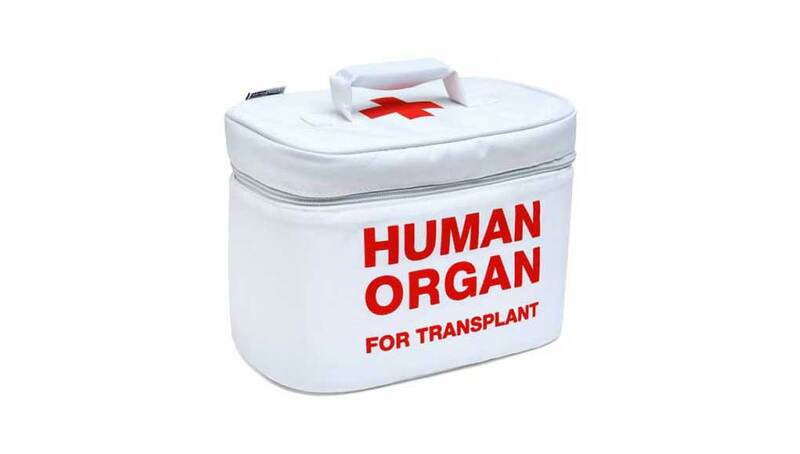 At any one time, around 7,600 people are waiting for a transplant, with many others deemed too ill to go on the list.